Looking to develop a career in engineering? Kubota can help you to realise your potential with the Kubota Dealer Apprenticeship Programme. The Kubota Dealer Apprenticeship Programme is your opportunity to be part of the future of UK engineering. The Programme enables apprentices to work in the agriculture, construction or groundcare machinery sectors, studying everything from basic engineering skills to the latest technological advancements. With UK headquarters based in Thame, Kubota is a world-leading manufacturer of agricultural, groundcare and construction machinery and world-class engines. Employing more than 35,000 people, Kubota has a worldwide network in more than 110 countries. Everything we do at Kubota is built on a philosophy of constant and consistent innovation to deliver practical, powerful and efficient solutions. Kubota UK’s Technical Apprentice Matt Davis was recently awarded the title of Learner of the Year by the Worshipful Company of Cutlers, via City & Guilds. He has also received one of the Medals for Excellence, a programme which recognises the impressive achievements of learners and tutors and each year a small number of prestigious awards are presented to the most exceptional individuals. Based at one of Kubota’s dealerships, each apprenticeship course includes both theory and practical sessions whilst on block release at one of our partner colleges, The result: a valuable, industry-approved qualification in engineering for your chosen machinery product area. 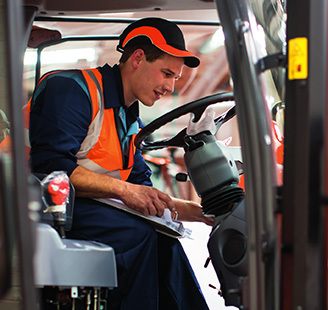 Following each course continual technical training will be delivered at Kubota’s industry leading training centre. By successfully completing a Kubota Dealer Apprenticeship, you will achieve an industry approved qualification at the same time as gaining high quality, hands-on practical skills through a manufacturer backed scheme. Even better, you’ll be earning a wage while you learn. We will collect and store your personal information for the purpose of responding to your query. If you would like to request access to the information we have on file about you, please contact us. We’re really proud of everything that Matt has achieved during his time at Kubota UK, and we caught up with him to ask what life is like as an apprentice, why he chose a career in land-based industries and how Kubota UK has helped develop him professionally. Matt, firstly congratulations on winning this award! What made you decide to choose a career in land-based industries? Engineering has always appealed to me as a career; the variety of machinery is vast and this industry has everything from handheld 2-stroke equipment all the way through to mowers, utility vehicles and tractors – and from compact machines to large agricultural ones. After researching the area and spotting the horticultural and agricultural issues facing the sector, I wanted to learn more and make a positive impact on the future of the industry. What has Kubota UK helped you to achieve? Since joining Kubota UK in October 2015, there have been many challenges that I have had to face and the company has always given me all the resources I have needed to overcome them. Throughout my apprenticeship, I have been required to complete a range of tasks such as engine and transmission strip downs, or to diagnose and repair faults. 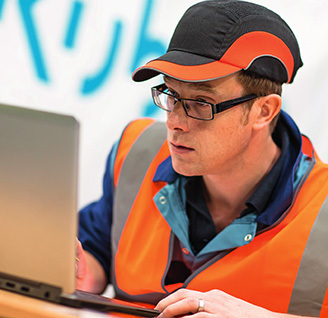 At first these tasks seemed daunting, but Kubota UK’s support helped me to grow in confidence as an engineer, capable of tackling similar tasks in the future. 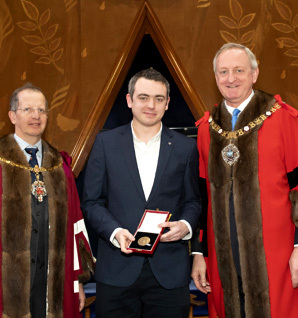 Kubota UK’s backing has allowed me to push my apprenticeship further, and ultimately helped me to achieve the Medal of Excellence from City and Guilds, as well as another award from the Worshipful Company of Cutlers in London. Would you recommend the Kubota Dealer Apprenticeship Programme? Anybody looking into an engineering apprenticeship should definitely consider applying for a place on a Kubota programme. The resources and support that the company provides allow you to push your boundaries on a daily basis to achieve your potential. The end goal is to graduate as a well- rounded, competent engineer who can cope with the day to day rigours of the role. I would not hesitate in recommending these courses to anybody who is looking for a career in horticultural and agricultural engineering. What have been the most memorable moments of your apprenticeship far? The highlight of my apprenticeship was most definitely in March 2016, when I was given the opportunity to attend a two-week training course at Kubota’s factory in Sakai, Japan. Seeing the factory and visiting Japan with Kubota was an experience I will never forget. The knowledge I gained from that course has proved invaluable over the last few years.